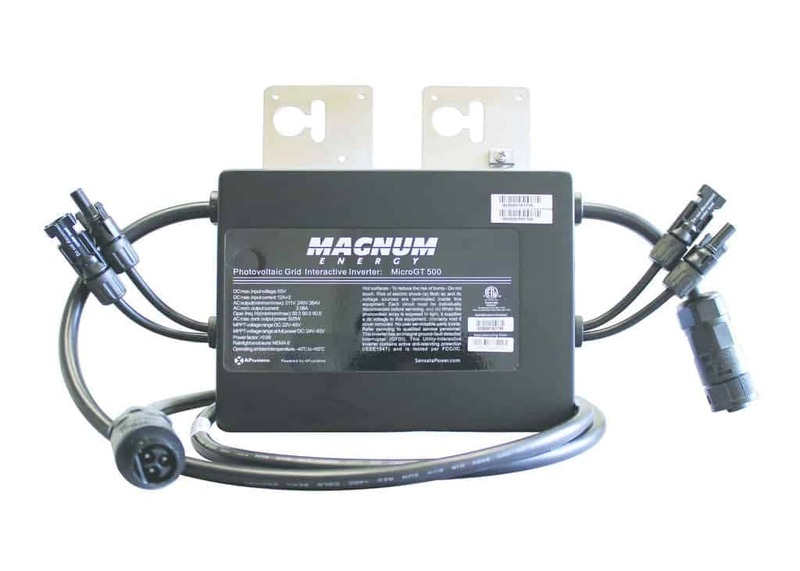 The AC Connection cable provides connection from junction box to first micro-inverter in branch, one AC cable is required for each branch of MicroGT 500 inverters. This cable includes a ME-MGT connector on one end and bare wire on the other end for termination at an AC junction box. This UL certified cable is 6’ in length and is made from 600V 12AWG wire.